Today is the day – Commit to be TechFit! We are a few weeks into 2014 — stick to that resolution! Community Programs start up this week, and full-session classes can be a great way to keep you motivated and compliment your current fitness routine. Did you know…Michigan Tech employees who are TechFit benefit eligible can use their $150 (and $100 total for dependents) for our awesome new classes, as well as our most popular staples. Visit us online for full details. It’s been a crazy, early, snowy winter. As much as we love the powder, the skiing, the hockey, the trails, and the snowy wonderland, we are ready to look ahead to spring! 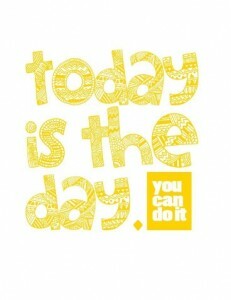 Stay with us as the snow melts (if only on Facebook) and we stay motivated and fit all the way to Spring Break, baby. Commit to be TechFit with Community Programs. New to Community Programs? Want to change up your workout? 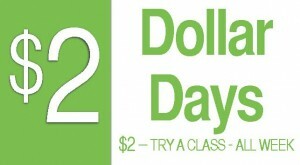 Try out a Spring class for only $2.00 during Dollar Days, January 13-18! Program variety with classes for Health & Wellness, Fun & Fitness and High Intensity Workouts. Visit us online for the Dollar Days Schedule and also to see our Spring 2014 Brochure. For awesome deals, the most up-to-date information, event announcements and more, connect with Michigan Tech Recreation on Facebook and Twitter. On Facebook@ Michigan Tech Recreation. On Twitter @ MichiganTechRec.